There exist two sub species of purslane, wild or common purslane (Portulaca oleracea ssp. oleracea) and garden purslane (Portulaca oleracea ssp. sativa) but forty or more cultivars are currently grown. It is garden purslane that is grown and used as a vegetable plant while common purslane is mostly used as a medicinal herb. Other Common Names: Green purslane, summer purslane, pigweed, pusley, little hogweed, golden purslane, portulakk (Norwegian), pourpier (French), Gelber Portulak (German), portulakka (Finnish), portulak (Danish), verdolaga (Spanish), ma chi xian (Chinese). 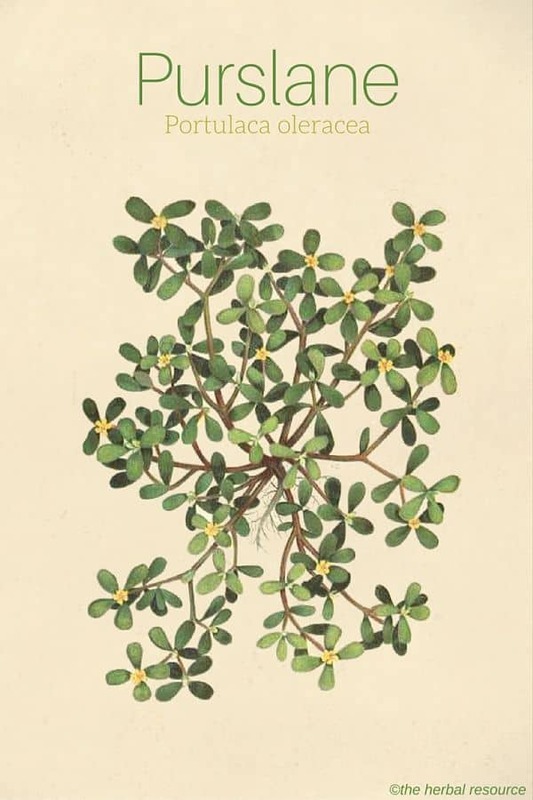 Habitat: Purslane is probably native to India and Pakistan, where the plant still grows wild and where it has been eaten for thousands of years. In Europe, it has been cultivated for hundreds of years, and in the 1500s it was widely used for human consumption. The plant was brought to America by the European settlers where it soon became naturalized. Today the plant occurs as a weed in warmer parts of Central and Southern Europe. Purslane is easy to cultivate. The plants grow best in a nutritious well-drained soil in sunny areas. It is important to keep the soil evenly moist to ensure that the plants become fertile. The seed is sown directly into final growing places in the spring, and often multiple times throughout the summer in order to have a steady supply of healthy plants over a longer period. The leaves can be picked from the plants six to eight weeks after sowing. Plant Description: Purslane is an annual succulent, 10-40 cm tall that belongs to the Portulacaceae family. The stems can either grow horizontally or vertically. The dark green egg-shaped leaves are arranged opposite or alternate. The plant blooms from July to September and the small yellow flowers wither early. The fruit is 4-9 mm large, oval shaped capsule containing numerous small, shiny black seeds. Garden purslane (Portulaca oleracea ssp. Sativa) is somewhat taller (up to 60 cm) with erect stems. Both the stems and leaves are very fleshy. Plant Parts Used: It is the leaves and young shoots that are used as herbal medicine. The leaves and shoots should be picked before the plant blooms. The leaves are used preferably fresh, but may also be dried for later use in decoction or tinctures. Active Ingredient and Substances: Purslane is a very nutritious plant that contains high levels of omega-3 fatty acids, as well as proteins, sugars, and mucilage. It is a good source of vitamins A, B1 and C, nicotinamide and many minerals (magnesium, potassium, and nitrate). Furthermore, the plant contains l-dopa, dopamine and L-norepinephrine, two red-violet betacyanins (oleracin I and II), caffeic, ferulic and sinapic acid, calcium oxalate and oxalic acid, potassium salts and iron saccharate. The seeds are rich in starch and a fatty oil. In Europe, Iran, and India the herb has been used for its medicinal properties for at least 2000 years but it was probably used as a vegetable and cultivated long before that. 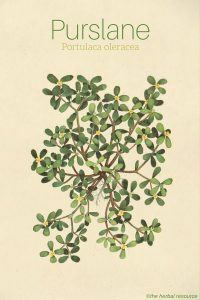 Purslane was known in ancient Egypt and is mentioned in Greek manuscripts as early as 600 BC. In ancient Rome, it was used as a remedy for sore eyes, dermatitis, inflammation, headache, abdominal pain, dysentery and intestinal worms. 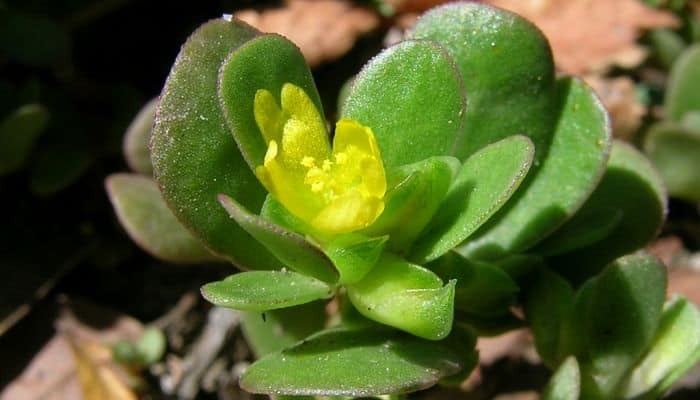 It was highly regarded as a magical and medicinal herb in the times of the Roman Empire and Pliny the Elder (23-79 AD) recommended that people should wear amulets containing purslane to keep evil and sickness at bay. Pedanius Dioscorides (1st century. AD) recommended consuming the herb as a treatment for a toothache, headaches, inflammation, and indigestion. He stated that the plant juice could be used for high fever and as a cooling agent on very warm days and recommended the herb as a treatment for urinary tract problems and internal bleeding of all sorts. In folk and traditional medicine, the herb has been used as a remedy for many ailments, including high fever, diarrhea, and urinary tract infection. It has also been used as hemostatic and was thought to be good for the eyes and sore gums. Today, purslane is rarely used as a medicinal plant but it is still used in France to some extent. Purslane is loaded with antioxidants (beta carotene, C, and vitamin E), and it also contains a high amount of the useful omega-3 fatty acids, which helps strengthen the immune system. These substances also help to lower elevated blood fat values and hence reduce the risk of heart attacks and blood clots. The fact that purslane contains a lot of magnesium is also important in this context. For people suffering from high blood pressure (hypertension), it has been recommended to eat plenty of vegetables that contain magnesium such as purslane, spinach, and green beans. Magnesium deficiency has become very prevalent, and now there is no doubt within the medical community that magnesium plays a role when it comes to many heart diseases. It has been suggested that the daily intake of a total of 400 mg of magnesium should be sufficient for therapeutic reasons. For those suffering from frequent headaches, many diet experts have recommended a higher dose of 600 mg of magnesium a day. Food containing high levels of magnesium and potassium have been shown to have an anti-depressant effect as well. Purslane, which is abundant in both of these minerals also contain other substances like calcium, folic acid, and lithium that can have a positive effect against mild to moderate depression. The herb has diuretic properties and can be used to cleanse the body of toxins and as a cooling and fever-lowering agent. Also, it may be helpful as an herbal remedy for ailments related to the urinary tract. The fresh squeezed sap may be used to counteract cough. 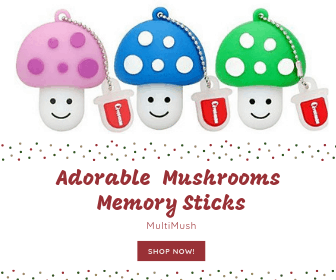 Due to the plant’s high content of mucilage, it has soothing properties that can be used for gastrointestinal problems such as diarrhea, dysentery, acute enteritis (inflammation of the small intestine) and appendicitis. The herb has also been used to treat mastitis (inflammation of the mammary gland), hemorrhoids and bleeding after childbirth. The seeds have been used against intestinal worms. In Chinese herbal medicine, purslane is used as a remedy for diarrhea, bacterial dysentery, fever and urinary tract infections, and sometimes for appendicitis. The Chinese also use the plant as an antidote for wasp stings and snake bites. The leaves of purslane are full of sap that can be applied fresh to the skin in order to relieve inflammation, insect bites, burns and other wounds. It is also thought to be helpful as a relief for skin problems such as boils and eczema. The plant contains many valuable antioxidants, including carotenoids and may be used as a face mask to cleanse, refresh and tighten the skin. In addition, the freshly crushed leaves can be used in the form of a poultice for headaches, sore eyes, and gout. Purslane has a great taste and is rich in minerals and vitamins. The young, crispy leaves, stems and flower buds have a crisp and slightly salty flavor and can be used fresh in salads, boiled or steamed just like other vegetables. The leaves can be used as an addition in cucumber or tomato salads or used in soups in the same manner as spinach. When using purslane in cooking, the leaves should be finely chopped and added at the end of the cooking time to preserve the delicate flavor and the content of vitamins. Furthermore, the leaves can be used as a thickener for soups and stews. The young chopped leaves are also good in marinades or added to mayonnaise served with meat and fish dishes. The older, tougher leaves can be used to spice up soups and casseroles. In the Middle East, chopped purslane is mixed with yogurt and garlic and served as a side dish with grilled meat. It is also a standard ingredient in the Lebanese salad “fattoush“. The dosage of purslane as herbal medicine depends largely on the condition it is intended for. Many herbal practitioners recommend 9-15 grams of the dried herb and 30-60 grams of fresh purslane for internal uses. Larger amounts can be grounded into a paste for external uses. Purslane is considered safe to use as a medicinal herb, in cooking, and as a vegetable or spice. Pregnant women should not use the herb in therapeutic doses as it may have a contracting effect on the uterus. As the herb contains up to 1.7% oxalic acid it should not be consumed in large quantities by those suffering from digestive ailments and those prone to kidney stones.